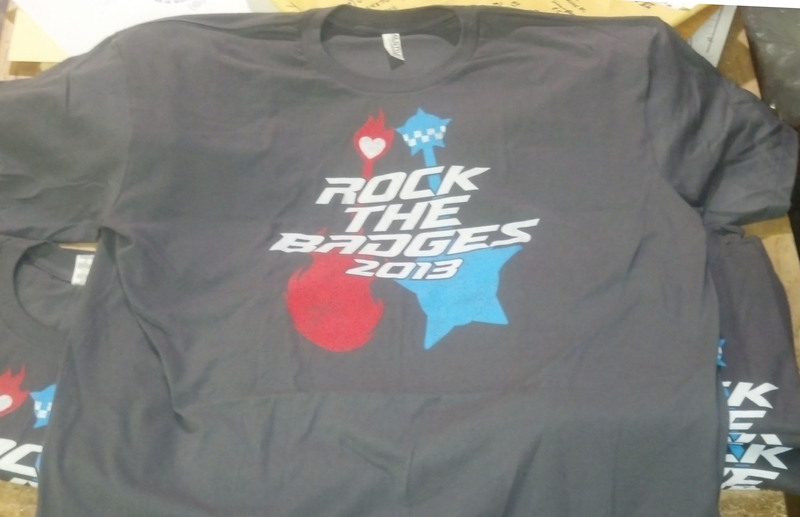 We have finished printing the shirts for the first annual Rock the Badges. Rock the Badges is a battle of the bands featuring bands with members from Chicago Police and Fire Departments. Ticket proceeds will benefit the Ignite the Spirit Fund and Police Memorial Foundation. Check it out and rock out for a good cause this Saturday. Doors open at 5pm and the music won’t stop until 1am. Watch the Fire Department bands The Differents, Imposter Radio, and Northside take on the Police Department’s Jenny Rockis Trio, Its About Time, and Pimp Slap. After the competition stick around for Red Rebel County. We printed shirts for Rock the Badges. Go to it Saturday, September 7th.